Desirable large triple lot in unit 59 across from waterfront properties. Well kept neighborhood with many new homes. This is a very popular area of NW Cape Coral! 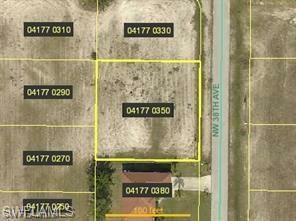 Build your dream home in this great area with quick access to shopping schools and parks. Listing courtesy of Alisa Ann Knittel of Cape Premier Realty Llc.